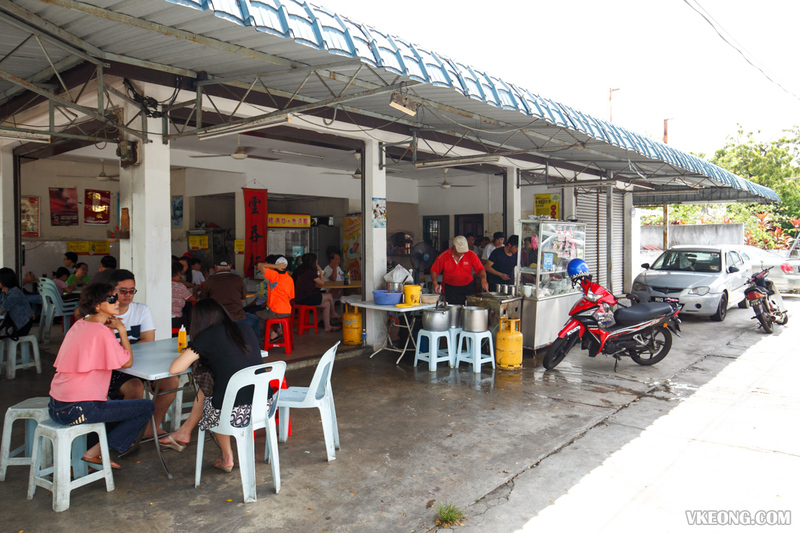 If you are serious about looking for good food in Melaka without all the touristy stuff, Jalan Tengkera is the place to be. Even after repeated visits here, I can still something new worth recommending. While waiting for our duck noodle at Soon Yen, I noticed this noodle stall next door that was doing brisk business. 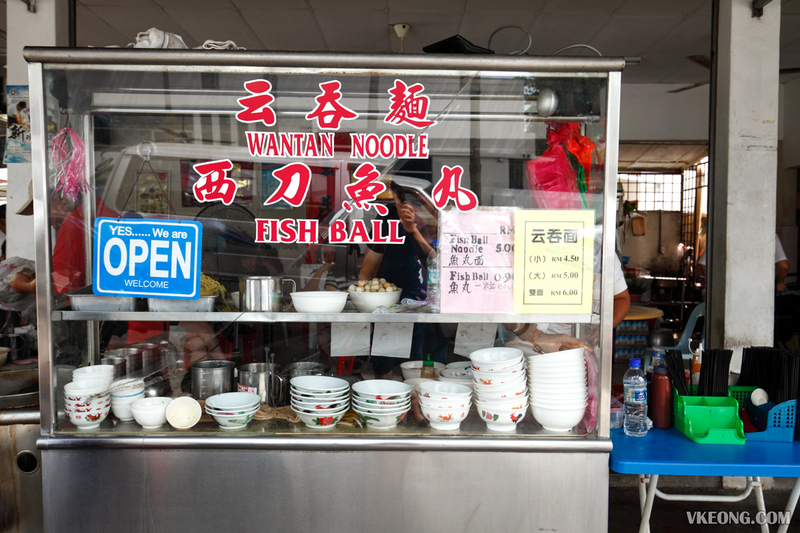 They are selling Wantan Mee and Fish Ball noodle which seemed nothing unusual but upon closer look, I noticed a difference in the noodle they use. 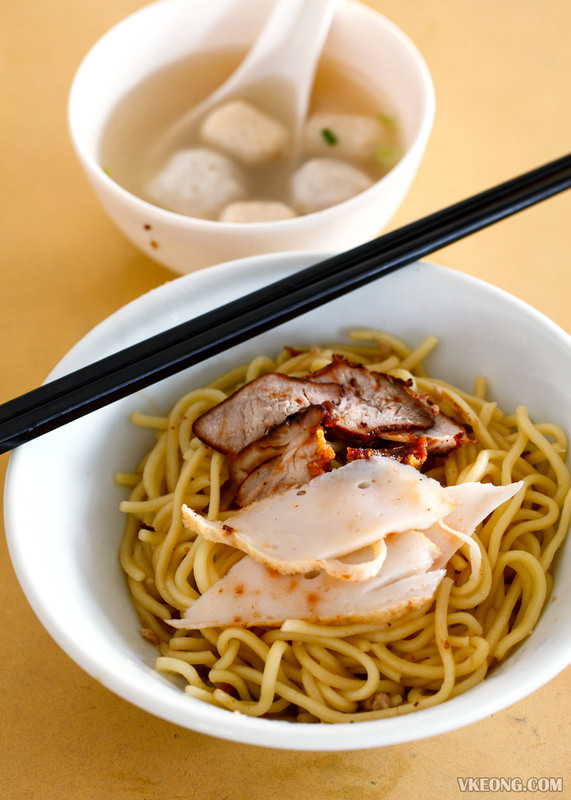 Their wantan mee is prepared using thin and flat noodle which is similar to mee pok. They also don’t add chili sauce into the noodles which makes it different from most you find in Melaka. 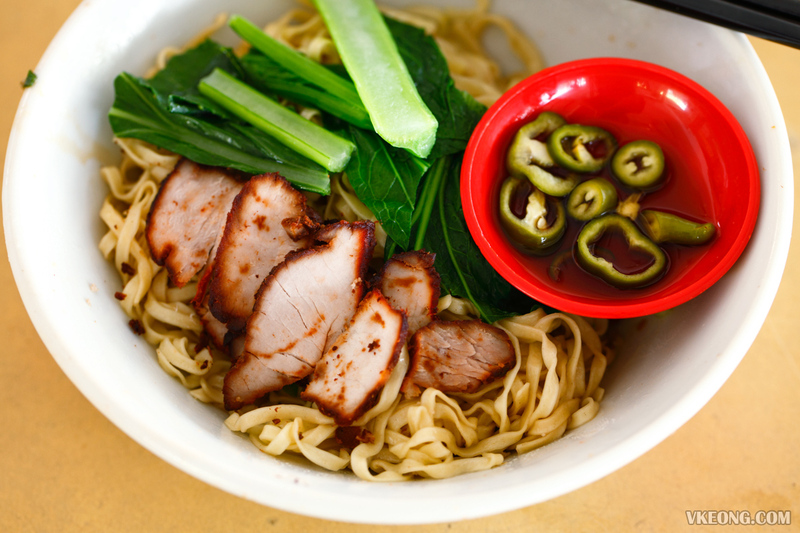 The noodle is cooked perfectly and retains that delicious springy texture that bounces in your mouth. Flavor wise they kept it minimal by using largely lard so it’s more aromatic than heavy in taste. As for the char siew, it was alright but of course you can’t compare it with those juicy ones you get in KL. 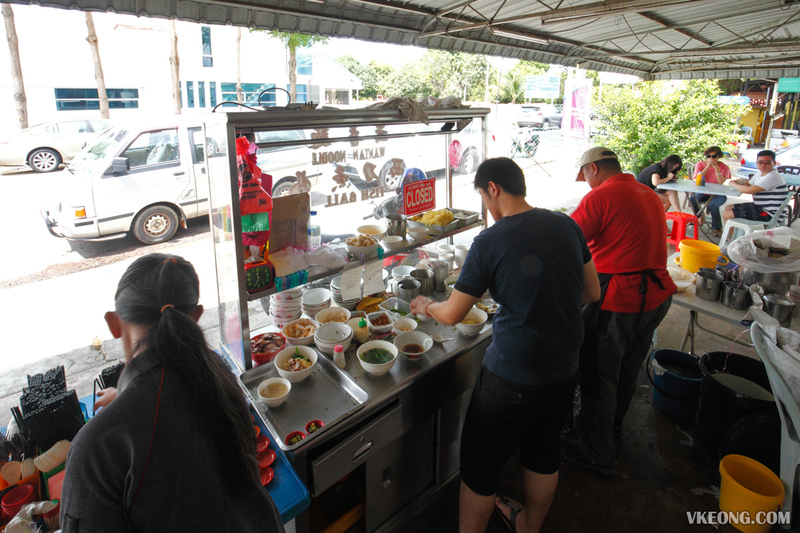 We also tried the Fish Ball noodle, or also known as Hee Kiaw noodle locally. Again, the noodle makes the difference because they don’t serve the normal yellow mee that always has an alkaline taste. The texture is slightly chewier too, but in a good way. 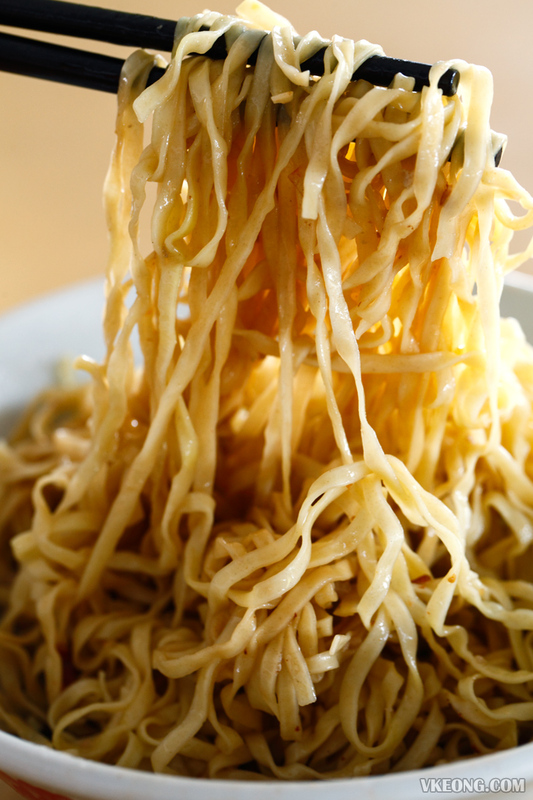 Overall, it was comforting yet delightful bowl of noodle – perfect if you are looking for something light that’s also tasty. 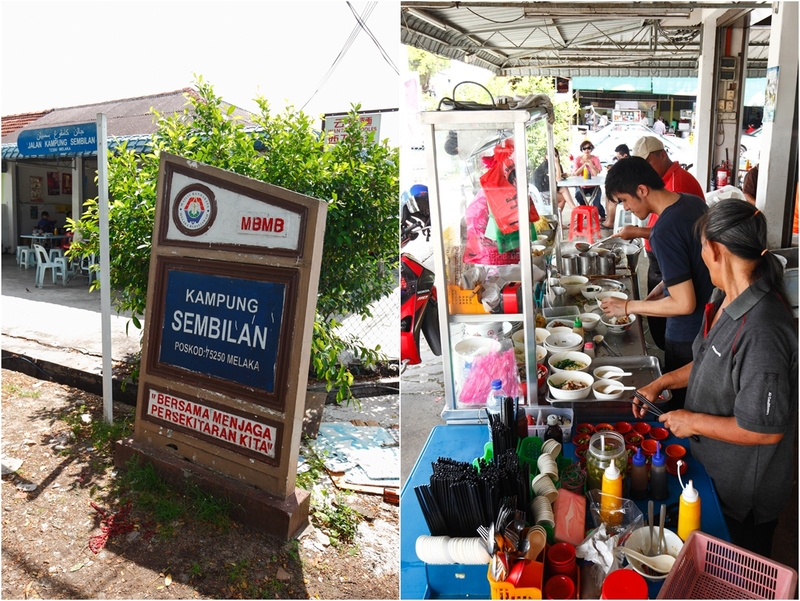 This no name noodle stall can be found at the entrance to Kampung Sembilan, as seen in the photo above. You can also use Soon Yen coffee shop as a landmark as it’s just next door as mentioned earlier. Other food worth checking out along Jalan Tengkera include Mee Bodoh, Putu Piring, Baba Charlie and Prawn Crackers Noodle. The post Wantan Mee @ Tengkera Kampung Sembilan, Melaka appeared first on Malaysia Food & Travel Blog.